CLICK HERE to try JamPlay for FREE! Happy to be offering you FREE membership to JamPlay.com! Signing up will grant you 1 full day of access to JamPlay. No strings attached, no credit cards, nothing. If you like what you see, you can upgrade your account at anytime within the member area. 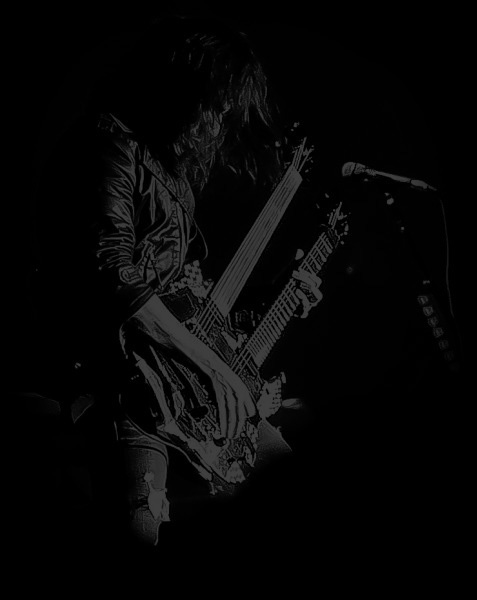 Keep checking http://www.jamplay.com/guitar-lessons/artists/220-bumblefoot- I've recorded 22 lessons & four Bumblefoot song breakdowns that will be added throughout 2014. Thank you! hopefully we can make it happen at some point - thank you! One-on-one lessons, any age is welcome, any skill level is welcome - if it's your first time picking up a guitar, that's ok. :) Lessons are about what you need, what you want, it's different for everyone. What if you have to cancel next week's lesson but you already paid? Email me and we'll reschedule asap. What if you pull a no show? What if you email less than 24-hours before the lesson asking to re-schedule? Just as crappy as a no show, I'm still there twiddling my thumbs at an empty screen. S. O. f'n L.
What if you pay and then decide you don't want a lesson? As long as it's more than 24-hour's notice, I'll refund the money. What if either of us lose our web connection during the lesson? Then we'll extend the lesson time to make up for it. What if you decide to act inappropriately, be abusive or commit lewd visual acts during the lesson? When I'm done cheering and throwing dollar bills at the screen, I'll be cutting our lesson short, no refund, no re-schedule. I'm cool with having fun, but I'm there to teach, you gotta be there to learn. Adjunct Professor at SUNY Purchase College teaching music - before that I created and ran the music department for a private school (music for children, music history, jazz band, gospel choir, and individual instruction.) Worked as a transcriber for instructional video companies. Taught at Sam Ash Music Institute as a private instructor and music director for student bands. Have done international clinic tours over the past 10 years, and lots of articles and videos for websites and guitar magazines in the US, Europe, and Japan. Been a guest instructor/performer at schools and music camps - includes Raleigh Music Academy (NC), Tone Merchants (CA), National Guitar Workshop (FL), Freak Guitar Camp (Sweden), MusicFest (Russia), and a music coach on MTV's "Made". That was all before joining GNR - since then I've continued to visit music schools and conduct workshops around the world teaching and jamming with students, as well as Rock N Roll Fantasy Camps, Corfu Rock School and more. Email me at lessons@bumblefoot.com The amount of email I get may sometimes be too much to respond to, I'll only be able to send a reply to the individual people I'm scheduling a lesson with. It'll be a random selection, I'll do my best to get to as many people as I can, while I can. Hope to see you!